After being welcomed with a round of drinks on the house you will craft three cocktails with the help of one of our experienced mixologists. Packages range from £20 per person and can include a variety of games and shots to help get you ready to party throughout the night! Our Masterclasses typically take place on the last Saturday of every month and start at 4:30pm, but custom dates can be arranged for groups of 6 or more. Time varies based on group size and what cocktails you decide to make. Expect classes to last between 1 and 2 hours. One free drink on entry, then make 3 cocktails. One free drink on entry, then make 3 premium cocktails. One free drink on entry, then make 3 premium cocktails. Price also includes a HUGO’s Boston Cocktail Shaker Set (HUGO’s branded Boston shaker, strainer, bar spoon, muddler, 2x speed pourers). 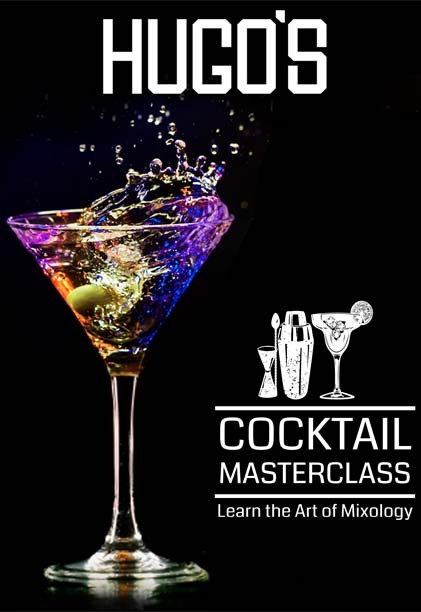 During your Masterclass you will make your choice of one drink from each section bellow. *Platinum drinks incur a £3 surcharge unless you purchased the Platinum or Diamond packages. Please contact us to arrange your numbers and dates before booking any custom masterclasses. We know how hard it is to find the perfect present, so let HUGO’s make it easy. 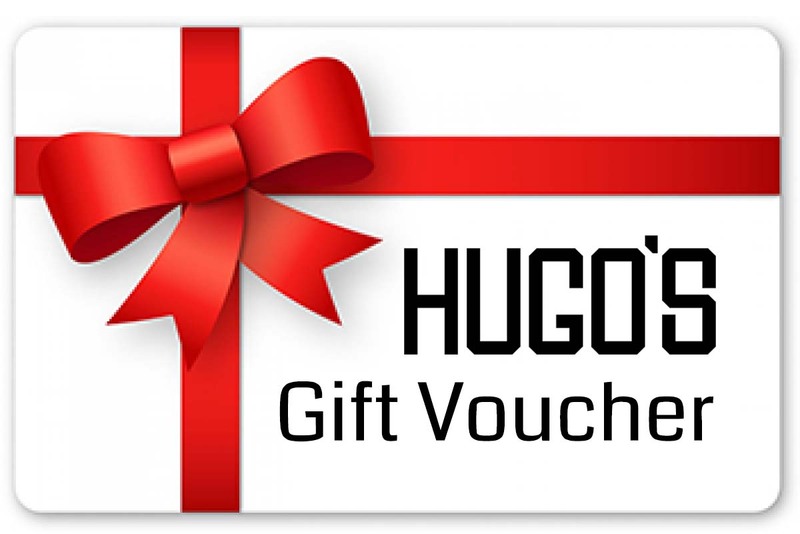 Family, friends, colleagues or anybody else you can think of can have a round or two of drinks on you with a HUGO’s Gift Voucher. 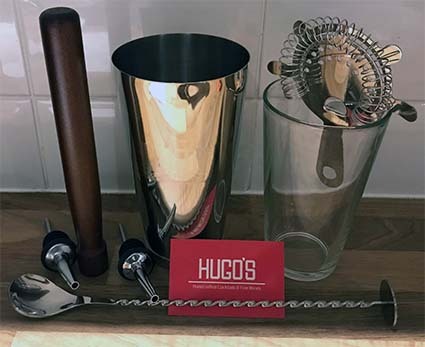 If you’ve always fancied mixing up cocktails like a pro, HUGO’s Boston Cocktail Shaker Set is the perfect place to start! Containing all the essential tools you need to start creating cocktails for friends and family. The Boston shaker tin is even engraved with the HUGO’s logo, for a truly professional look.